Communication and collaboration is key! 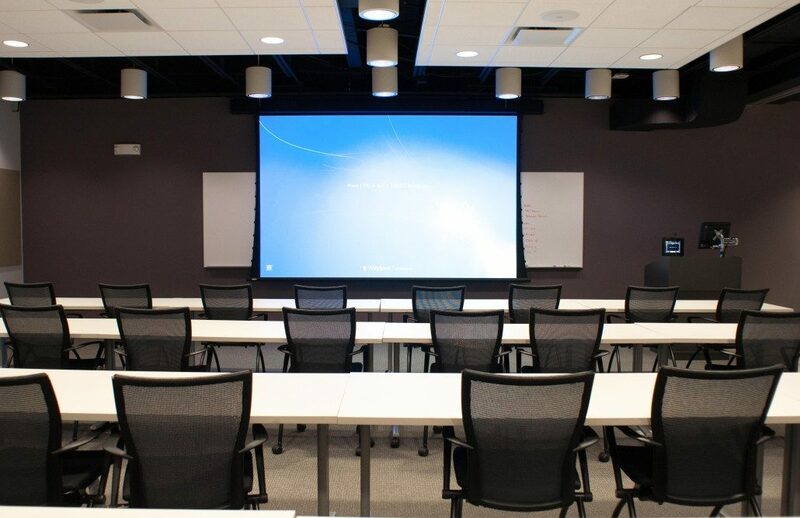 Whether it is between your team, current clients or potential dealmakers—your conference room must be comfortable, inviting and most of all functional with the best design, audio, video and room automation. One of the key aspects of most meetings is presenting information to a group of people in your conference room or across the world. 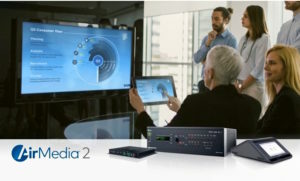 Our wireless collaboration solutions meet the needs of any meeting space or classroom, allowing users a seamless presentation and fully interactive experience. In today’s BYOD (Bring Your Own Device) world, you need to make sure your presentation solution is capable of handling input and output to multiple devices, regardless of format. 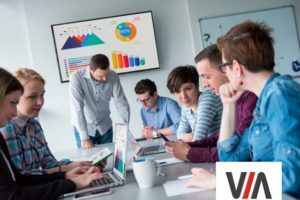 AVIT Service closely works with the leading wireless presentation manufacturers whose solutions eliminate the need for connecting and disconnecting cables and instead rely on wireless sharing of content. 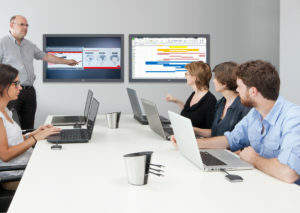 Group collaboration system for your conference room meetings and presentations at an affordable price.